Produced by WGBH-TV Boston and seen on your local PBS station, FRONTLINE is considered by many as the gold standard in investigative journalism. For over 30 years FRONTLINE has been bringing you stories ranging from domestic politics and social issues to international wars. Over the years FRONTLINE has won a total of 57 Emmys, 27 Alfred I. duPont-Columbia University Awards and 15 Peabody Awards. I have been lucky enough to be asked to help out on some promo work for The Outpost, which is FRONTLINE’s post and finishing department within WGBH. Working alongside Emmy award winning producer Missy Frederick we produced the above promo for Syria: Behind the Lines. Our first step was to watch the entire film. Both of us took notes on what we thought were the key points and messages. The biggest aspect of the film was just how in depth filmmaker Olly Lambert and his team were to conflict, at several points being within striking distance of an attack. When you watch the film the river that divides the two sides is a major theme throughout. I originally wanted to use the river shots as text backgrounds for two or three key points throughout the spot, but it was taking away from the incredible footage the team shot on location, so I decided to use it just for the tag. The tag was done in After Effects. While it could have easily been done in Avid, the ability to create masks and motion blur I find easier and faster in After Effects. The next promo was for TB – Silent Killer, a film that chronicles the lives of those living with TB and the struggles with the long and arduous treatment that goes along with it. Jezza Neumann and his team tell the stories of Nokubheka, Bheki and Gcebile and how TB, as an airborne disease, doesn’t discriminate and can affect anyone. The key takeaway when crafting this promo was the human element. These are not faceless patients. We wanted to highlight that while there is sadness surrounding the disease and the treatment, there is also hope. I encourage anyone reading this to connect with the team at The Outpost. They are extremely active in the post-production community and have given many presentations at local user groups including the Boston Avid Users Group and the Boston Creative Pro User Group. The best way to connect with the team is through Twitter. It has been a wonderful first year of freelance editing, fortunately and unfortunately I have been busy enough to let the steady flow of content here diminish, and for that I apologize. During those busy times I have collected a pretty good back log of content that I hope to show and share over the next few weeks. I also have plans to update the look and feel of barryclegg.com to more of a website than a blog. About a month back I got word, from Facebook no less, of Scott Lebeda’s company Good Natured Dog Productions whom he runs with his wife Alecia along with a stable of talented and creative folks, that they were looking for an editor for a spot with a quick turn around. Scott and had worked together multiple times on the road for corporate work and I had wanted to collaborate with Good Natured Dog for a while. Long story short, I emailed them and off I went on my first project with Good Natured Dog and the first gig I booked through social networking. Yet to find a gig through Twitter (@cleggthis), but I am confident this will happen at some point. The treatment for the spots was one of real customers giving testimonials about their experiences with Roche Bros. along with BROLL of their immaculate stores. Having picked up the footage the night of the shoot, I can say without hesitation that Roche Bros has the nicest food market store I have ever been in. Roche Bros was offering $10 gift certificates for anyone willing to be interviewed for the commercial, but having watched all the raw footage I have a feeling customers would have done it for free. Roche Bros really is one of those cut above kind of stores, the kind that still helps you bring your purchase out to your car. When was the last time your super market did that? Before we got into it I had a phone call with Scott who was going to be the main DP on the production and was informed the primary camera was going to be the Canon C300. I won’t get into all the tech specs on the C300, there are a multitude of sites on the internet that can tell you anything and everything you need to know. There were a couple tech issues I wanted to go over before we shot since I had done some projects recently with the camera. First was to insist we shoot in Canon Log so that we had a nice, flat image to color correct from. For color correction it was all done within Media Composer with some shots being masked with the Animatte tool for some secondary corrections, but I am not going to tell you which ones were which…that would take all the fun out of guessing. On top of the correction I did some minor vignetting using a 35% superimpose with a black frame and an Animatte effect with a soft feather. Below is a before and after screen shot. As far as frame rates go, most often with spots I have been dealing with 1080p/23.976fps source footage. Great thing about working in the Avid is you can easily switch sequence formats. Scott informed me he was going to shoot in 1080p/29.97fps. I hadn’t worked in that way yet going back and forth, but I knew that Avid would give me the flexibility to do whatever I wanted. What I discovered is I could do it all in the same project. When working in 23.976, the Avid automatically puts the pulldown on each clip, which inherently makes a motion effect on each clip, so you in essence always have an effect to render or playback in realtime. Since broadcast still takes 1080i, my workflow was to edit in 1080p, then at the end any and all graphic work was done by switching the setting over to 1080i. It was easy to switch back and forth, when editing footage I had the project at 1080p with no motion effects, then with graphic work switch back to 1080i and the footage had motion effects on them. The motion effects play in real time, so there was never any performance issues in either setting. A majority of the BROLL was shot on Canon 60D DSLR cameras. All the footage was linked via Avid AMA. The 60D footage I transcoded to DNxHD 145 before editing since sometimes the H.264 format can get a little quirky with the AMA interface, but lately I have been having good luck with AMA linked H.264 footage. With our quick turnaround though I wanted to have MXF media to sift through. Plus, I ran it overnight before the edit began. The C300 footage stayed AMA linked throughout the process. After Effects was used to do all the graphic work, which really only consisted of the logo bug, the catering logo (which only appears on one spot) and the end tag. The main reason I used After Effects and not Avid was simply really, I just enjoy After Effects for graphical work, I think it is easier and more flexible. It gives me one project/bucket for all my graphic work and all the logos were sent to me as .eps, which means I can natively import them in After Effects and continually rasterize to keep the quality at its highest no matter how much I scale, rotate, position, etc. I rendered all the graphics at 1080i so I could have fields for the final output to the 1080i sequence. For the end tag I used two techniques I use a lot in my day to day work. One is the write on effect. You can easily so this by drawing a mask on your written graphic and adding a stroke effect and changing the mode to “reveal original image.” By doing this you can keyframe the “start” and the logo will write on. 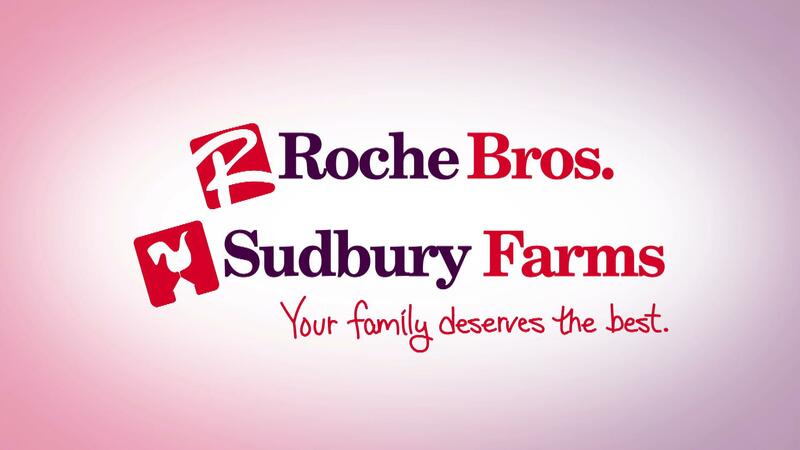 If you look closely at the vignette on the end tag, you will notice the left side is the red of the Roche Bros logo and the right is the purple of the Roche Bros logo. I do this a lot when a logo is over white that I normally would put a vignette on and a company’s logo is two toned. It is achieved simply by making a solid with a soft ramp of the two colors and using that as the vignette source. Enough of the tech stuff, I want to talk about the flow of the project. The commercials were directed by Ben Zidel and he was instrumental in getting all the great content from the interviews. Ben and I agreed that I would take the first pass at pulling :30 from all the raw footage since he wanted my creative input as well. This was great since it gave me some ownership of the spots as well as being efficient when it came to the point when we both sat down to make the final tweaks. We weren’t fishing through all the raw footage, but instead making edits to the keepers I had pulled the day before. I have to give Good Natured Dog credit, the amount of usable footage I was provided was a breath of fresh air. They basically had three units in the store, C300 with the interviews/key BROLL and two 60D units shooting beauty shots. One 60D on a slider and one 60D on a steady-cam. Needless to say, we had more than enough great footage, which is always a great problem to have. I look forward to working with Good Natured Dog in the future, they are a great group of creative people and I think these spots show that. You can see how much fun these guys have in the behind the scenes video. Here are some more behind the scenes photos. In celebration of the Boston Bruins once again on the verge of making a deep playoff run, I decided to talk a little about a couple Jordan’s Furniture spots regarding their Bruins promotions. I’ll keep this fairly short, you can read older posts about my work with Jordan’s. This was the first spot for the new Bruins Big Check promotion. As you can see, it is based off the Red Sox Monster Payback deals where you buy furniture during a specific time period and if the team wins the championship you get your entire purchase for free. There was a whole campaign for the Big Check, this being the main spot. I used both Avid Symphony 5.5 and Adobe After Effects CS5.5 to create this spot. The Bruins “B” logo was animated using GenArts Sapphire Spotlight and Boris FX Light Sweep. I wanted to create the feeling of being at the TD Garden after a goal when they spotlight the player who scored and to also give a sense to the red beacon that goes off from the goal referee. Right after you see the Bruins Logo you will notice we cut to a shot of Eliot on center ice as the lights go on. The lights were actually turned on in post using a simple Avid Animatte along with a couple 5 frame dissolves. In the jumbo-tron you will see the logo animation and those were added in using the Avid 3D Warp tool along with a GenArts Vignette effect. All the text was done using After Effects, mostly because I wanted to get the motion blur After Effects creates. I could have easily used Avid for the text, but I do like the motion blur in AE. The logo animation at the end was something I created 2 weeks before the spot as it was being used on the web for promotional purposes. A layered Illustrator file was given to me by the Jordan’s graphic designer. The second Bruins promotion Jordan’s did was for the mid-season rematch with the Vancouver Canucks which the Bruins defeated last year in game 7 of the Stanley Cup Finals. For anyone of you who followed the team last year you’ll know that the Stanley Cup series was some of the best hockey seen in a long time. The footage after Eliot says “remember this” was supplied directly by the NHL on HDCAM, which was nice since a lot of times these type of things are sent over on DVD or some other non-broadcast format. My favorite part of this spot is the frame that I picked for the thumbnail, which shows Andrew Ference completely upending a Vancouver forward. The second is the amazing goal by Brad Marchand at the :02 mark. All the hockey footage is from Game 3 in Boston when the Bruins put an 8-1 beat down on the Canucks. A while back I wrote about my experiences editing Jordan’s Furniture. They were one of the first New England companies to broadcast their spots in HD. I can’t comment on if they were one of the first to shoot their spots on the Sony F3, but I can say that this campaign for the new Warwick store did. When I was informed the new Warwick spots were going to be shot on the F3, I had a distinct concern as far as the post process was concerned. All Jordan’s spots are shot in 1080/23.976fps. When the camera is the Sony F900 HDCAM, a JH-3 deck is used to do a pull-down and the footage is actually digitized at 1080i/59.94fps. This is great since all the deliverables need to be in that format. With the F3, the footage is XDCAM EX coming off SxS cards, so there is no way to have a piece of hardware do a pull-down on the footage. You can read in my original post how quick the turn around times are on the spots, so I had limited time to make a decision how I was going to deal with the footage. I knew that the first step was going to be to use Avid AMA to link the footage in the Avid Symphony. What I didn’t know was where I was going to start as far as the master project went. 1080p/23.976? 1080i/59.94fps? The footage would link AMA into either project, but didn’t know if I should edit in 24 and then reformat to 60i after the edit or before. Should I transcode the footage before working? After a thorough, yet fast paced, discovery phase I came to the conclusion that I was over thinking it. All I had to do was create a 1080i/59.94fps project, AMA the footage into a bin and edit in that format. Avid automatically does a pulldown motion effect on any mixed frame rates on the timeline. I will say though that in my opinion the pulldown that was done with the JH-3 HDCAM deck is more “solid” then the software based motion effects you get in Avid. For those out there looking for some info on the lens configuration on the Sony F3, I can tell you this. A zoom lens was used. Robert Magro was the DP on this and while he said it would have been great to use prime lenses, the quick changes in setups coupled with the dolly shots warranted the need for a zoom. This campaign was shot during the last initial phase of construction at the store so there was very limited time with all the setups. I have worked on another video with the F3 in which primes were used and there is a definite difference, but I also believe overall the F3 holds up no matter what lens you use. One of these days I’ll get some footage with S-Log. Constant Contact is a great international company headquartered in Massachusetts that specializes in email marketing. Now, when I first heard of Constant Contact, maybe like you I immediately thought “Spam.” Nobody likes spam email, or spam comments, or spam anything…that is, unless you like SPAM. What Constant Contact really does is provide an easy, customer centric service for people who are NOT email marketers. More than likely, you have gotten an email from Constant Contact but you didn’t even know it. They are basically taking over email lists that already exist going out to customers who have already expressed interest in them. Let me put it to you this way, if you have ever gotten an email from Rule Boston Camera telling you about the upcoming learning lab, you have gotten an email from Constant Contact. These were a campaign of 5 x :15 national spots. There were 5 different personal coaches for each spot, and before you ask, yes, these were ACTUAL Constant Contact personal coaches. Their years of service are also accurate, in fact, those were something we changed along they way. These were pretty easy to edit, in fact the footage and keepers were digitized and cut by about 10am, not even enough time for me to get a second cup of coffee. After that was graphics which consisted of a single common end tag and a different doughnut hole, both of which were done in After Effects. The client supplied us with PDFs of email samples. The look was achieved by making everything 3D, applying a single light and then putting a simple move on them. I did each doughnut hole as the same length so that there was some consistency to the move, even though each spot had a different length for that. I did an 8 second move for all 5, that gave me enough pad on either end of the move to then cut into the spot in the Avid. The end tag was also done in After Effects, although it could have easy been done in Avid as well. One thing I have been doing lately is using After Effects for what I am calling multi-color vignettes. 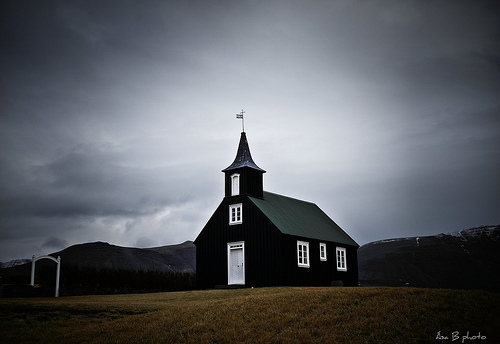 A vignette is a technique where you put a soft shadow around the image to make everything else pop. Most of you have probably been doing it with Instagram for a while now, you just didn’t have a word for it. With multi-color vignettes, I take the two main colors in a company’s branding (in this case blue and yellow) and make a soft gradient on a solid, one color on the left and one on the right. I then use that to make the vignette, instead of the typical black, or sometimes white. It is one of the subtle things that most wouldn’t notice, but sometimes that is the motivation to do such things. They are small, unnoticeable, but yet they make things better. The director and producer told me that the room the spots were shot in was about 100 ft deep, which is why the spots have great depth of field. While I can’t tell you what lens was used, I can tell you it was a zoom ENG type of lens on the Sony F900. So it begs the question, if you have the physical depth in the room, are prime lenses necessary compared to physical depth and great lighting? I will leave the argument to my DP friends, but I will tell you that these looked amazing on my Sony broadcast monitor. At this time I don’t have a side by side comparison, but I will tell you I did very little color grading on the image. This is basically right off tape. Little bit of luma, contrast and saturation. The week started with the press conferences, which were done by each of the Big 3 (Sony, Microsoft and Nintendo.) These were held off-site from the convention center and acted as the main PR for each manufacturer. The press conferences is where the major announcements of things like the Wii, PlayStation 3 and XBOX were held. Once the press conferences were done, we jumped right into the main part of our video program, which was the internet show “Floored.” In the first few years of this project (we did 4 years of the show) we actually did do a show, which aired three times a day. It was packaged with stand ups from our host Stacee Barcelata and usually featured 3 – 4 stories from whatever was covered thus far. What we found out was that by only pushing video content three times a day, our audience was literally just sitting there waiting for content. In our last two years we switched to a story by story format. This way we could push content to the site as it was done, providing our viewers with up to the minute content throughout the duration of the E3 show. Once each video was done, it was published to the web along with a blog post, pictures and other content. What we did was basically set up a mini production house inside the LA convention center. We had 4 Avid Media Composer stations, an audio workstation and a compression workstation, all connected via a server. We also had a separate network for all the writers, producers and web developers. 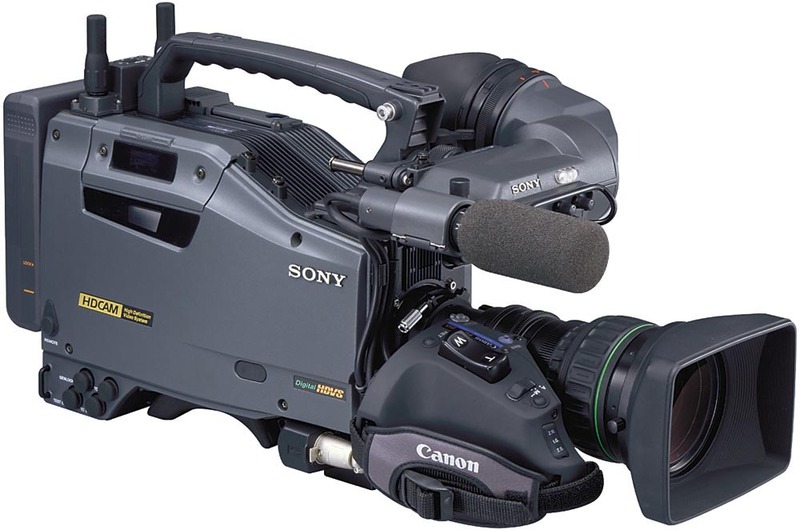 For shooting, we used Sony DVCAM 570 outfitted with Firestore digital recorders. Props to our two DPs John Coyne and Jim Flis who worked 16 hour days with these beasts. 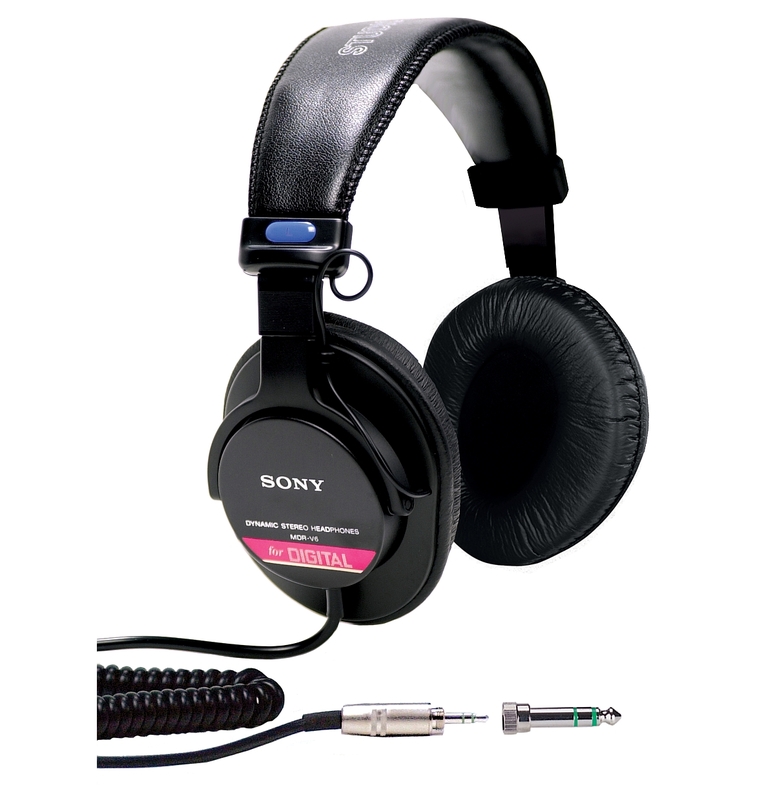 This project was done between the years of 2002 – 2006, so the workflow of digital recording was somewhat of a new concept. 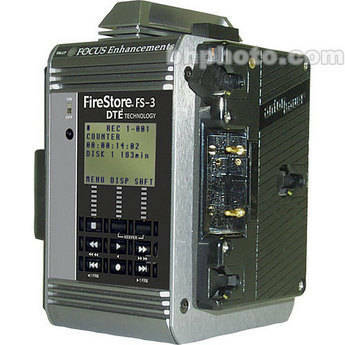 I remember the first year we were out there we even said “man, it would be great to not have to digitize all these tapes and instead use some sort of file.” The Firestore was the one of the first manufacturers of digital recorders. We set them up to record OMF files so we could import them right in the Avid, bringing with it all the TC information that corresponded to the tape. It was a great workflow. The stories would come in from the field, the DVCAM tapes were handed off to one of our 3 writers, the Firestore was handed off to Gary our IT tech who would then offload the Firestore to the server. The OMFs were then imported in the Avid. As far as the game play B-Roll, it was coming in a variety of formats, from Beta SP to DVCAM to digital files. Our audio/compressionsist Brian was taking all that and digitizing it in Sony Vegas in order to give us QuickTimes for import to edit with. All the while compressing all our stores with Agility Anystream, recording scratch VOs and doing a final mix for each Floored story. Brian was pretty much the MVP of our whole team, it would have been absolutely impossible to do it without him. It really was the ultimate in teamwork. We were firing off up to 16 stories per day. I remember getting there around 7am, putting my Sony headphones on, start cutting and at some point I would take them off and it would be midnight. The Boston College Eagles football team is a Division 1 FCS team that plays in the ACC, a conference which includes perennial powerhouse programs such as Florida State, Miami, Clemson and Virginia Tech. Since their entry into the ACC in 2003, Boston College football has been more prevalent on the national stage, which means more TV time. Each year each school is given the opportunity to air a spot advertising their school on national TV, free of charge. Basically, it boils down to when ESPN is airing the BC vs. Florida State game, they are making money off of that so each school gets one free :30 spot. As you can see, about 66% of the spot is from outside acquisitions. The Boston College footage was XDCAM and HDV at 1080i/59.94fps. I used the Avid 3:2 cadence to give it the 24P look. The ESPN footage came in on DVCPro HD 720. If memory serves me correctly that footage was sent out to Video Express and transfered to HDCAM. At the time we didn’t own a DVCPro deck and it was cheaper to have a quick dub made than to rent a deck for what turned out to be about 5 seconds of footage. All the VO’s in the spot are actual Boston College students and are being read on-site with a boom mic. Normally VOs are done in a booth with a Pro Tools engineer, but given the fact the spot was shot at the campus and we had 12 separate lines of copy all read by different students, logistically it was easier to record them on-site. Things you may not know about the spot, the first shot of the chapel the sky is secondary color correction using Avid Symphony. The original shot was shot on a sunny day, but was done midday, so the sky still had a flatness to it. Not so much grey, but the blue was so light and de-saturated that I thought it could use a punch. The same was done on the last shot with the Eagle statue, but not as much. The lasers in the physics lab were all done in post. They tried to shot them on set, but the laser was so light that the camera just wasn’t picking it up. I used After Effects and just drew a couple white lines with a blue and white glow added to them. On the church interior with the candle lighting ceremony, I put a fairly heavy vignette on the color correction to draw the viewers attention to the candles, as well as added a hint of GenArts Sapphire Glare to them. The original shot was done with only the light from the candles and was extremely orange. I drew a couple masks with Avid Animatte to be able to keep the blue in the stained glass in the background and only apply the glare to the candles. Disclaimer: I am NOT a Boston College sports fan. In 2002 I graduated from the prestigious University of Massachusetts at Amherst. But, having worked more closely to Boston than Amherst, Boston College provides more content for sports and, while I hate to admit it, they are the premiere college in New England for sports, except UCONN for men’s and women’s basketball. Two sports projects I have been involved with are football and hockey, two sports that are main objectives in Chestnut Hill. Hockey in particular has been a powerhouse for years, having won 3 national championships in the last decade. Each year Cramer works on projects for each of these programs. The football recruiting video, which is an NFL Films style video that highlights the year for the team and acts as a recruiting tool for new players. In fact, up until his passing in 2009 Harry Kalas was used as the voice over talent. Since then, Joe Giotta has been lending his voice and picking up where Kalas left off. This the open for the 2009 video. The main piece was edited by Vincent Higgins and written and directed by David Trainor. I used Avid to cut the footage and brought it into After Effects to do the composite. What I did was create a canvas at 1920 x 1080 and put the SD video on that 5 times. Video CoPilot’s Riot Gear was used to create the background and the grunge vignette. Since I had an HD canvas and an SD output, I used that to create the swish pans you see. I just moved it between the 5 continuous streams to create the swish pans. You can see what the 5 streams look like around 1:24 in the video. Above is the 2010 Pike’s Peak Hockey video. At the end of each hockey season they hold a banquet for all the players, coaches, parents and supporter’s of the program. As you can tell, the video is ridiculously long (total running time of 10:30.) While something like this should really run at no more than say 5 minutes, just remember who the audience is for this. It is specifically for the team, so almost every goal and good save from the season is used. The video is broken up into 3 specific sections. The first is the Foo Fighters song which is the regular season. The Muse song is from the Beanpot (the mid-season Boston hockey tournament between BC, BU, Northeastern and Harvard.) The last being the Lupe Fiasco song which is the Hockey East tournament. I used Avid to do this entire video except for the logo open and the BC logo transition, which I made in After Effects but did an overlay with GenArts Sapphire Layer effect. Back in 2004, Cramer partnered with the Boston Globe to create a 3 hour long documentary about Boston’s greatest sports stories told through the eyes of the writers, editors and photographers who covered these memorable events. The actual documentary was edited by Jim Ferguson, who now works at the Outpost at WGBH working on Frontline. If you get the chance, make sure to watch this documentary, if anything for the 23 minutes on the 2004 Red Sox World Series win. This whole project was done two days before the Red Sox won their first World Series in 86 years, so as you can imagine, the presses were stopped and the Red Sox story became the final crescendo to the whole documentary. Having been a Red Sox fan for as long as I can remember, I have seen multiple recaps of the 2004 post-season, and only two are worth watching. The ESPN 30 for 30 4 Days in October is extremely well done, and the final chapter of this Boston Globe documentary. And don’t forget, the Boston Globe recap was edited in only 3 days. The ESPN documentary was probably done over at least a year. My involvement in the project was two fold. First, I was the DVD author for the final product that was going to be sold in stores. This meant I was responsible for the encoding of 3+ hours of content, menu mapping and testing. In fact, I think if I was to hunt in my archives I may even still have the Microsoft Excel spreadsheet I used for my “bit budget,” which I used to figure out how much bit rate I could encode each video with in order to fit it on the dual layer DVD. Second, I was picked to edit these vignettes (as we were calling them) for NESN in order to advertise the project being on sale to the general public. They were played going into breaks on Sports Desk during the Red Sox playoff run. These pieces were also the first real edit I ever did in my career. I had worked on multiple other things, but at that point I wasn’t officially an editor, a junior editor maybe if I were grasping at straws. Luckily there were some schedule conflicts and they needed someone quick, and I was available. To go along with the sports theme of this post it was almost like when Drew Bledsoe went down and they had to call on the backup, and the backup took over and never looked back. Don’t get me wrong, I am not comparing my skills as an editor to Tom Brady, but these videos definitely had a part in launching my career and I will always have a soft spot in my heart for them. I have up-converted these videos to HD from DEBTA tape using a Sony HDW-M2000 HDCAM deck. All the interviews were shot in Cramer’s large studio in 16×9 Digital Beta and run through a Sony DVE with a film look on it (basically gave it a 3:2 pull-down look.) The main documentary, as well as these vignettes, was a 4×3 program. You can tell specifically in the 1980 Hockey Team piece as the clock is cut off on my 16×9 HD up-convert in Al Michaels famous call from the Soviet game. The interviews were letter-boxed and all the B-ROLL was 4×3, including the flat art. The flat art was actually shot on DVCAM using a traditional robotic flat art stand. I would imagine everyone does their flat art digitally now, I know I do. There was something nice about having a physical tape though. No rendering, just cut in the move you need. Looking back, there are probably some things I would have done differently now that I have a bunch of years under my belt. One thing that always stands out for me is in the Pedro Martinez piece the color correction on Troy O’Leary’s grand slam. I would have tried to do some secondary color-correction on the field dirt so it looked brown and not gray. I also may have pushed to put the opening VO/text quotes on some sort of newspaper treatment instead of just white text on black, but honestly that is me just being nit-picky, since it does work as is. It was really at this point that I realized what I love about editing is story telling. Granted, guys like Bob Ryan, Leigh Montville and Dan Shaughnessy are natural story tellers, but to be able to take all of their stories and make one compelling one is something that is, well for lack of a better more elegant phrase, just plain awesome. Whenever someone asks me on the street what I do for a living, I always say I am a video editor. In theory, I could say “film editor” since I have edited many films, but in reality they have all been shot on video, not film. After I say video, most times the next question is “what is that?” Jordan’s Furniture has always been my example to illustrate what I do for those not in the know. Jordan’s Furniture has been a staple of local business in Eastern Massachusetts for a number of years. Their TV spots have changed over the years, but they have always been a cornerstone of their brand. There are many things that I enjoy about editing Jordan’s Furniture spots. For one, they are always a quick turnaround so they don’t drag on for days. A typical schedule would be shoot on Monday, digitize and edit Tuesday, make final revisions and traffic Wednesday. Sometimes there is another day added onto that, but if it does there are probably at least 4 or 5 spots going to air. There are even times we are trafficking on day 2. The other reason that Jordan’s edits are great is the client I get to work with. It has, over the years, become a true partnership in the edit and I am sure any other editor out there would agree that is a truly great place to be. The days we edit, the client just comes right on in, sits down, we’ll Monday Morning quarterback about the recent New England Patriots win and then get right into it. Usually by this time I have the footage digitized and edited, sans final graphics. Sometimes they go over well, sometimes they don’t, but they are always meet with a mutual agreement that we’ll do whatever is right for the spot, and everyone’s opinion matters. There is a high level of trust in the edit suite and it just makes the whole experience worthwhile. All the Jordan’s Furniture commercials are shot on a Sony F900 HDCAM at 1080p/23.976fps. Since all broadcast spots need to be delivered at 1080i/59.94fps, the footage is digitized with a Sony JH-3 with the pulldown setting on, so the footage is in the Avid at 1080i/59.94fps, usually at DNxHD 220-10bit. The exception is when chroma key is used, since keying footage that has pulldown on it creates questionable results. When this is the case, the spot is cut 1080i/59.94fps but a 3:2 cadence motion effect is added after that fact. HDCAM really runs at 135MB/sec, but by working in DNxHD 220 10-bit all the graphics can be at that higher bit rate. Also, since most spots are now delivered digitally it gives the compression step the highest possible quality source to make the files from. One thing you will notice on a lot of Jordan’s Furniture are deals that includes TVs. All graphics that live in those TVs are done in post-production. If the TV always resides in the frame, the Avid 3d Warp tool and 4 points tracking will usually suffice. 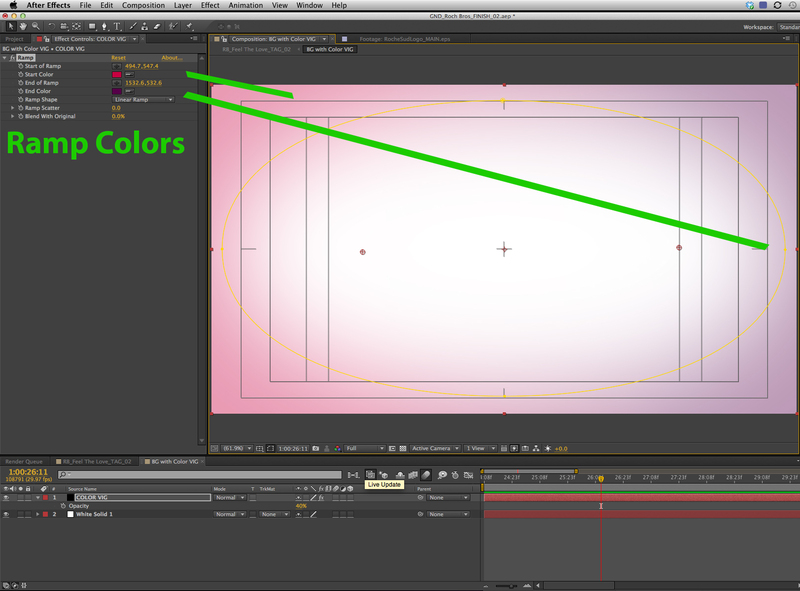 When the TV comes from off-screen I’ll use Mocha for After Effects since it is a planar tracker. In fact, now I would even say that I will rely mostly on Mocha since it yields good results. 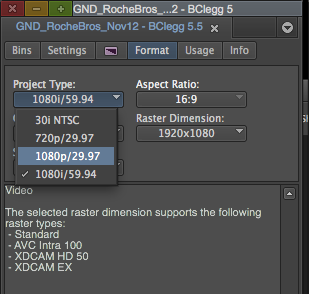 One thing I do have to do is do that composite at 1080p/23.976fps and then import that composite at 1080i/59.94. Trying to do tracking shots on footage with pull down will create bumpy tracks. One thing I do with the track is I track in just a solid color (usually red since it makes it easy to see where in lies in relation to the edges) and then do the graphics in a separate sequence or comp. This acts as my master track and is replaced by the sequence or comp with the graphics. I use this workflow whether I am doing the composite in After Effects or Avid. The graphics are usually what change the most during the editing process, so by doing it this way I don’t have to re-track every time there is a logo or text change. The above spot was actually moved up a day or two so they could do the shoot at Fenway in the snow. Needless to say that, while it definitely helped for the spot, the on-site production crew wouldn’t have objected to a sunnier day!